I endorse this novel on my blog with hesitation because my research has led me to believe only one of the authors may be a Christian. One difficulty for a blog that seeks to unearth obscure authors is that sometimes, unfortunately, available biographical information is sparse. 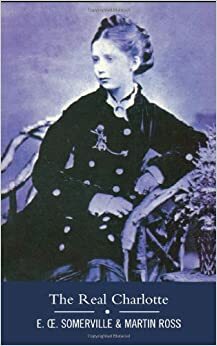 The Real Charlotte was written by a female cousin duo, Martin Ross and Edith Somerville, and while Martin Ross came from a protestant family and is described in The Stanford Companion to Victorian Fiction as a “keen church-goer,” Somerville involved herself heavily in the occult, consulting mediums and spiritualists and utilizing a bizarre spiritualist writing technique called “automatic writing.” She even continued to write novels “with” Ross after the latter’s death by holding séances. No evidence suggests Ross engaged in such activity, strictly forbidden in the Bible, but other than her eager inclination to attend church, not much recorded evidence of her faith exists. All that said, The Real Charlotte is a beautiful novel that reminds me why I keep coming back to 19th century literature and has helped me put my finger on what I personally find lacking in modern and contemporary literature (maybe more on that in another post). So the reader can decide if she wants to pick up this book or not. Written by Irish authors in 1894, The Real Charlotte is actually considered one of Ireland’s great novels. Ross and Somerville are exceedingly talented writers, and they present an utter mastery of characterization in this novel. The characters are imbued with such finite detail that it is almost as if the narrator conjures them to life, and reading the book is like looking through a window at real people. This is also the first book I have ever read where the protagonist and the antagonist completely switched places in my esteem before the story was through, so that I began to doubt which one was the heroine. Although the first third of the novel was slow going, the second half rewarded perseverance. Rivalry, romance, class and the growth of evil in the human heart interweave to bring this story of two desperate cousins searching for love to a surprising climax, and the lifelike characters will have the reader arguing and pleading with the narrator over their destinies. Of interesting note, The Guardian included The Real Charlotte in its list of The 10 Best Neglected Literary Classics. Earn free amazon.ca gift cards.